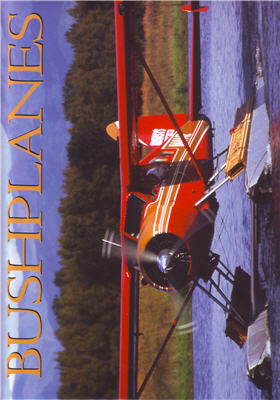 Bushplanes is a colorful book that examines the duties bushplanes help carry out around the world and the development of the greatest examples still plying the skies, including deHavilland Beavers and deHavilland Otters, Piper Cubs, Stinson Reliants, and Cessna Skywagons. Even airworthy examples of Norseman Noorduyns, the granddaddy of modern bushplanes, are included. And since pilots must utilize the natural landscapes in which they fly, the author explains and depicts the range of specialized landing gear used, from pontoons and hulls for lakes and rivers to skis for frozen tundra and water and balloon tires for rocky river beds and mountain slopes. Bushplanes, 160 pgs, hardbound w/dust jacket, 10 x 10, 200 b&w and color photos.